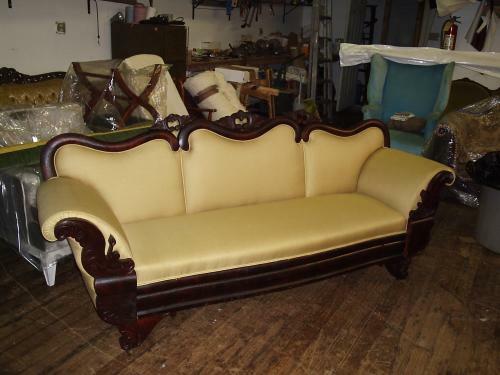 With many years of experience, we can make your furniture look like new. Free estimates pick up and delivery. See experience in every job we do. 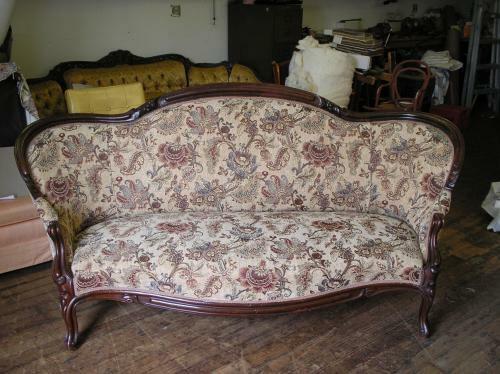 Our intensive process, includes stripping off all the old fabrics, adding new padding, fixing springs, cutting, sewing and matching off patterns, bring the furniture back to your custom requirements. For 27 years Rodrigues Upholstery has been transforming ordinary furniture into vibrant and colorful expressions that complement your home. We are in business since 1983 and service all of New Bedford, Dartmouth, Westport, Acushnet, Marion, Fairhaven and Mattapoisett. "You are a very talented man and should be very proud of the fine work you do, we look forward to doing business with you in the future." "Hello! just wanted to send a little note to thank you for the work you did on my dining room chairs. It's amazing how it looks like a brand new set." "Hello Mr. Rodrigues, thanks so much again! The chair look great." 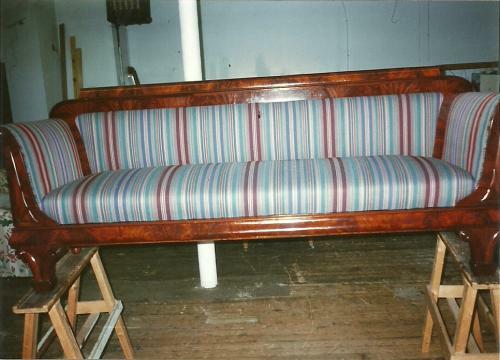 When I was 14 years old I began as apprentice, in an upholstery firm in a Portugal island called Ilha da Madeira, making springs, taking turns helping the masters, When I was 18 years old I did a bit of everything, sofas, chairs etc. At 20 years old I was a padded (first class) worked for the same conpany until I was 28 years old, than I came to the USA. I opened my own company called Rodrigues Custom Upholstery, and I have been in business for 27 years, with much experience in diffirent types of upholstery and sizes, old or modern services. I provide services to the Newport Mansions, I do work on roseclifer, marble house, brakes, helms, shepetow, etc. If you have any questions, would like a free estimate, or send us a photo, please contact us. © Danilo Pao. All rights reserved.